Ordinary trousers? No thanks! 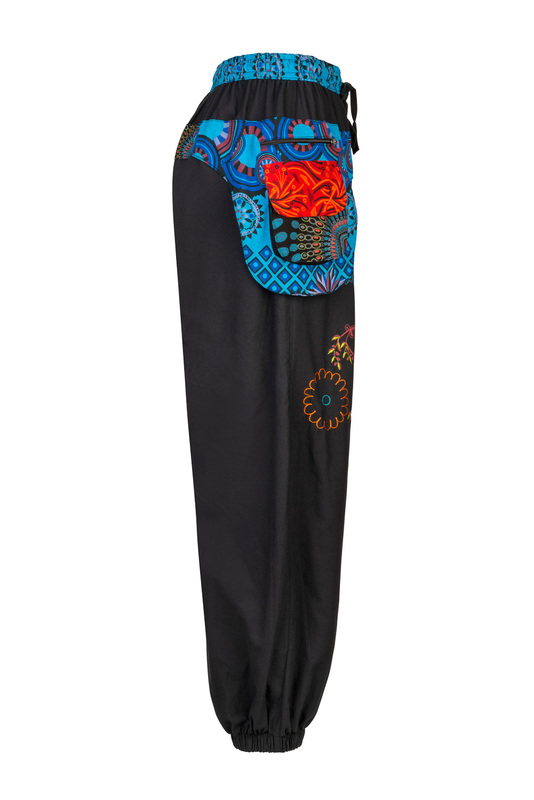 Inspired by our hugely popular funky wrap skirts, these amazing embroidered trousers are designed to make an impact. 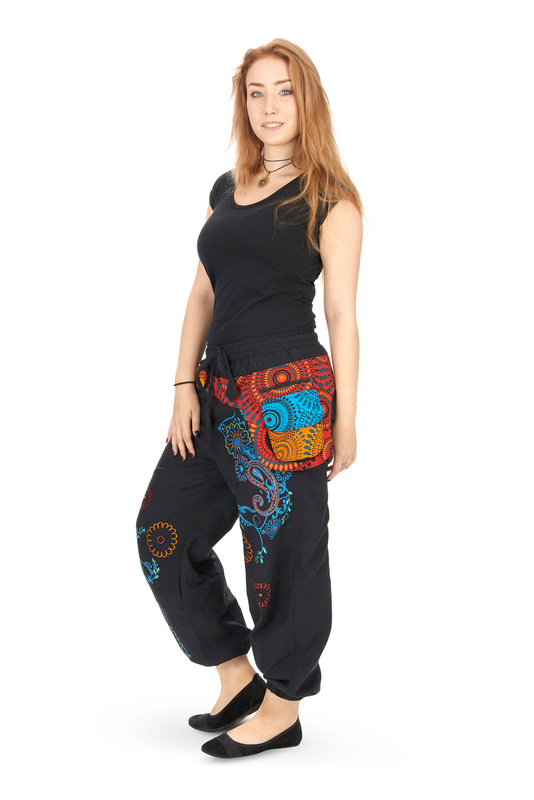 There's a brilliant little hip pocket purse, ideal for hands-free fun, and the elasticated drawstring waist makes them a supremely comfortable wear. The exotic tropical-coloured flower and leaf motifs flow down the legs, vivid and bright, and the elasticated ankles create a satisfyingly funky silhouette. A boho masterpiece. Excellent quality . I am 5ft 9 and they fit just right ( no over hang at the ankle for me like in images but that is fine with me). I have ordered several items recently after about 2 years of following the company and have been very pleased with everything so far. 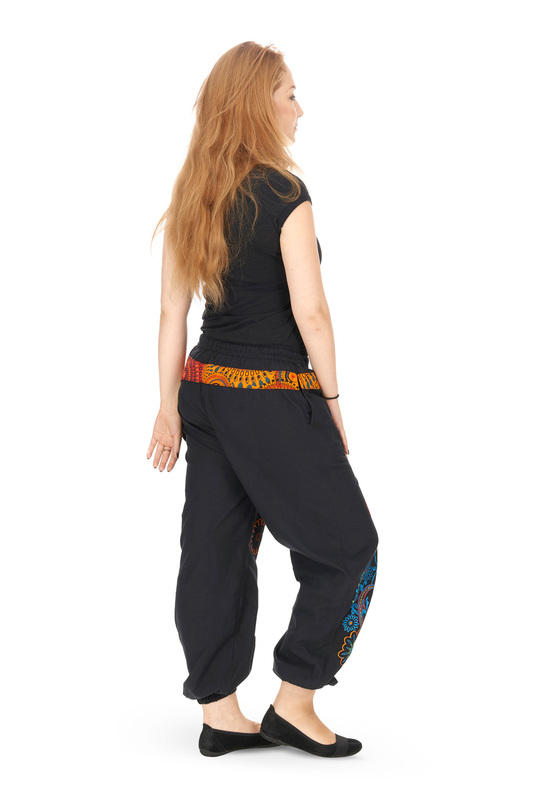 I was not sure how these would look on me at 5'3" and a size 10, but they are super looking on. Very thick and comfortable and easy to wear. A nice addition to my wardrobe and wonderful detail and colours. 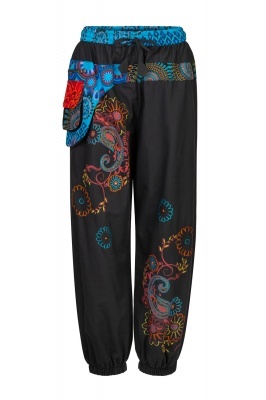 I love these trousers! The belt pockets are great as you can keep your keys separate from your phone or keep a ticket close to hand without danger of it falling out. 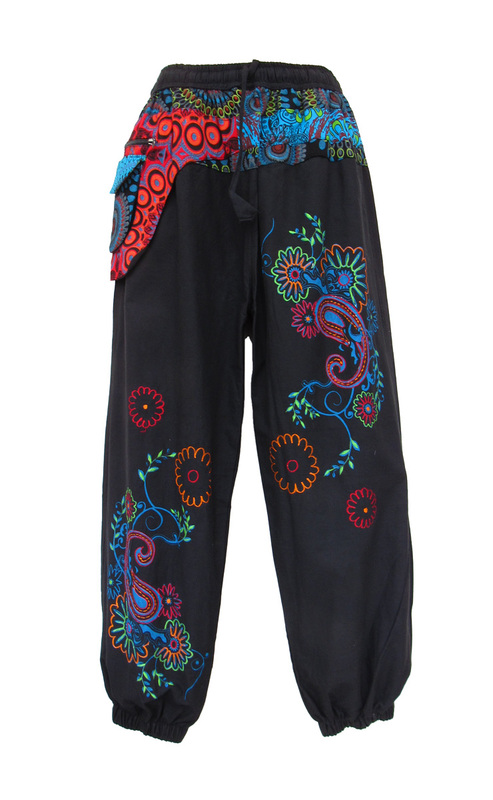 The embroidery is lovely with vibrant colours and they are a good length. 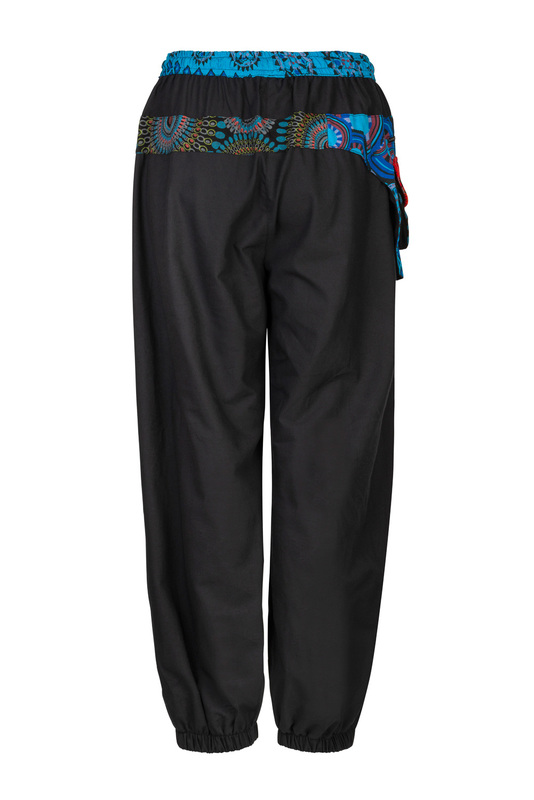 I'd been considering these trousers for a while before I bought them. I now only wish I'd done it sooner! i love these trouses. They was a good size, lovely strong material. The colours on them are beautiful . Love the belt around the waist. Will be buying a few more pairs. My wife is absolutely delighted. the product arrived very quickly and the quality is fantastic. We will ne ordering more products with Wicked Dragon. 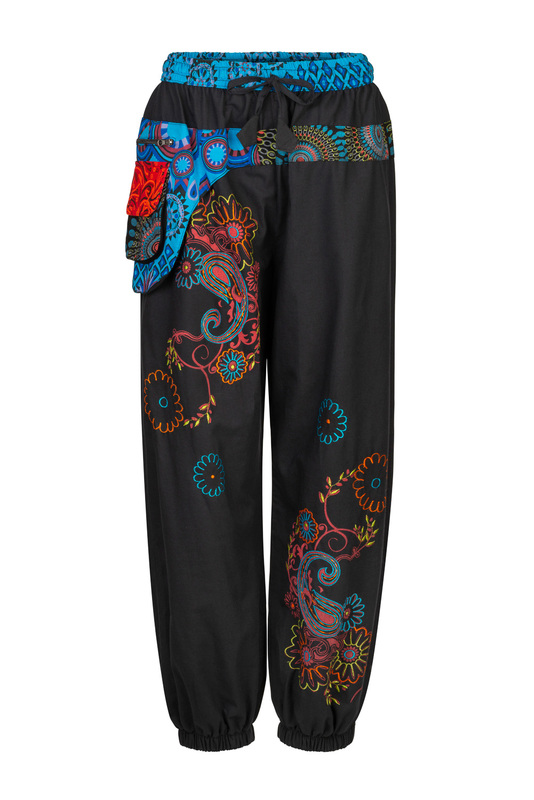 These are good weighty cotton, the embroidery is very bright and looks gorgeous. Comfortable to wear and look great.